/ Comments Off on Sunday Message: John Piper – Where is your Joy? Sunday Message: John Piper – Where is your Joy? 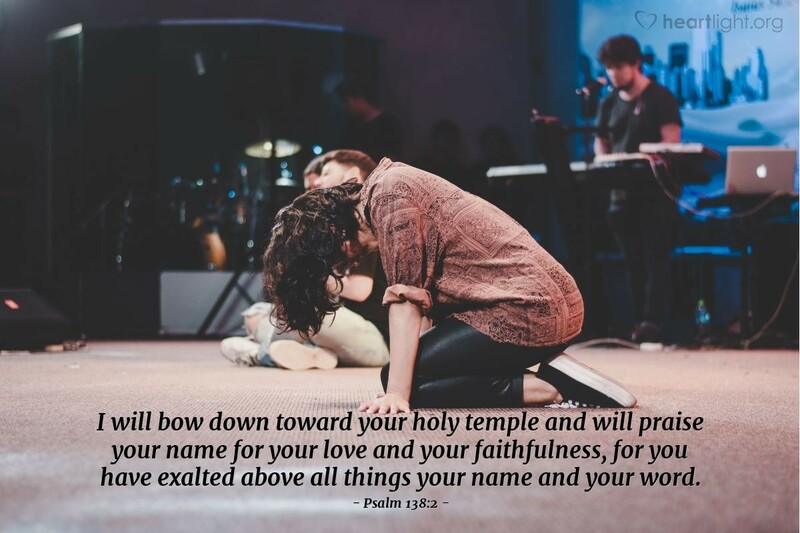 For Christians, God’s temple is one of two related things: either the Christian’s body (1 Cor. 6:19-20) or the group of people who make up his Church (1 Cor. 3:16). Because of the flaws in people who make up our churches, many are hypercritical of their hypocrisy. But God’s Church is precious to him, and should be to us. Anyone who destroys his Church through division will be utterly destroyed. God’s faithfulness to his people is seen in his preservation of the Church through all the ravages and persecutions of history and his patience with the flawed people who are in his Church. But, God is still the center of the Church and he alone is to be exalted. The Church is still to be governed by his Word and not just their own will. Holy and incomparable God, I praise you for your steadfast love and faithfulness revealed in your preservation of your Church through all the years of history. I will cherish your Church and do all I can to help it grow and mature to become more like Jesus. I recognize that you and you alone are to be exalted above all other things and that church must never be more important than your will revealed in your word. Give me the courage to be true to you even if the church with whom I’m involved may not completely honor you. Through Jesus I pray. Amen. Sermon by John Piper – Where is your Joy? Galatians 6:2 Carry each other’s burdens, and in this way, you will fulfill the law of Christ.